Book written by Kerry Juby. Published by Sidgwick & Jackson on 20 October 1988. The book consists of 160 page of text, eight pages of colour photographs and eight pages of black and white photographs. 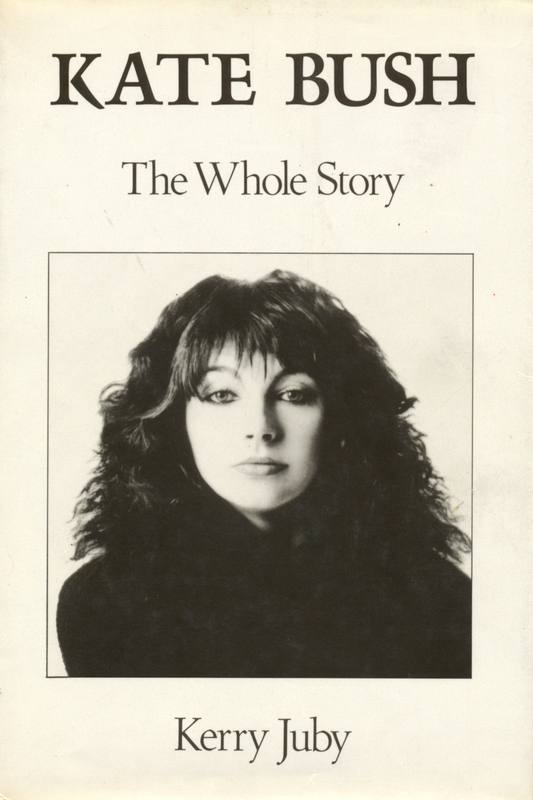 The book was based on interviews with friends, family an Kate Bush herself (although it needs to be noted that these were most probably previously published interviews and not new interviews especially for this book). The development of her career, her art and personality and her success in music and performance are discussed in detail. The book is not without its faults: American knowledgeable fan Andrew Marvick spotted no less that 111 errors in the book - both big and small ones, which he described in great detail in a letter directed at Karen Hurrell, an editor at Sidgwick & Jackson.